Not quite all accept the change of name: In greece the government might fall because of this question. It is an absurd thing that a free and independent Country (Macedonia or, today, Northern Macedonia) must be conditioned by the mood of a larger neighbor in deciding about the name. It is a ridiculous thing that the people of the neighboring country have silently endured many years of economic crises and shortcomings, but it is ready to protest only for a question of the name of the neighbor. 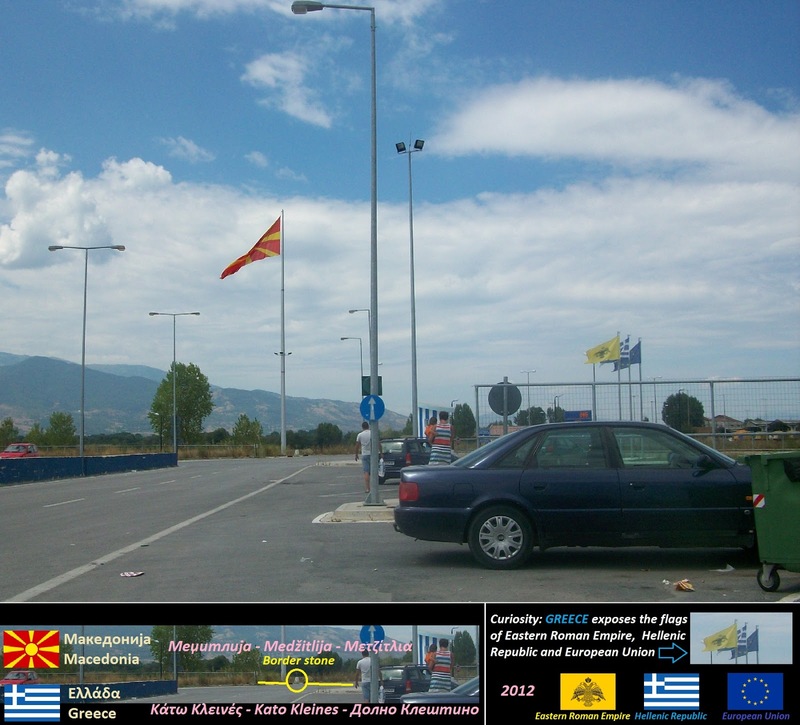 Macedonia already changed its flag in 1994 and nowadays has changed its name. Greece is doing NOTHING, apart from historical misinformation and psychological pressure against Macedonia. The question is definitively concluded. The new name of North Macedonia has also been recognized today by Greece. ATHENS — Overcoming Russian meddling in the Balkans and intensive domestic opposition, Greek lawmakers on Friday cast a wrenching vote to set aside historical antagonisms and recognize the newly renamed nation of North Macedonia, in a rare victory for the European Union and NATO. The 153 to 146 vote by the Greek Parliament now essentially clears a path for Greece’s northern neighbor Macedonia, under its new name, to join NATO and potentially the European bloc, strengthening the West’s foothold in the Balkans over Moscow’s protests. Greece had fiercely objected to its neighbor’s use of the name Macedonia, arguing that it appropriated Greek history going back to Alexander the Great and implied territorial ambitions over the northern Greek territory of the same name. The issue has stirred months of mass demonstrations in Greece, and the decision to support the deal by Prime Minister Alexis Tsipras, who has sought to burnish his reputation as a statesman, may yet come back to haunt his government in elections this year. Polls show well over 50 percent of Greeks opposed to the new name, as well as the old one. After the voting in Parliament began, legislators of the neo-fascist Golden Dawn party interrupted the roll call by shouting “traitors” at leftist lawmakers backing the deal. A small group of demonstrators protested in the rain outside the building. But more broadly, the seemingly arcane fight over a place name became a test of geopolitical power pitting Europe and the United States against Russia in the perennially unstable Balkans. The effort by Greece and its neighbor to come to an accommodation was groundbreaking, and it punctured the myth of a mighty Russian president, Vladimir V. Putin, hurling thunderbolts down on defenseless Western democracies. While Mr. Putin may be able to meddle in the West, the outcome underscored that Russia still fails to present an alluring model to compete with the prosperity and democratic values offered by Europe, where Macedonia appears determined to make its future. In Russia’s effort to sway the Greek vote, it allegedly paid protesters, tried to stoke nationalism on both sides of the border as well as influencing Greek Orthodox priests, and in a by-now familiar tactic, littered the internet with disinformation and propaganda. But this time, Greek and American officials and observers say, the Russians appear to have overplayed their hand. The standard-bearers of the West have celebrated the agreement by Mr. Tsipras, whom they saw not so long ago as the hard left and anti-American problem child of European politics. In 2014, Mr. Tsipras demanded that Chancellor Angela Merkel “go back” to Germany, which had insisted on devastating austerity measures in Greece. This month, he welcomed her warmly as she admired how he “took the initiative” to resolve the name controversy. “I am convinced that the solution will benefit Greece, North Macedonia, the stability in western Balkans and European Union,” she said. Russia had hoped to prevent such an outcome, in no small part, analysts said, out of fears that its ally Serbia could next be lured by the West. The vote Friday essentially ratified an agreement struck in June last year between Mr. Tsipras and Prime Minister Zoran Zaev of Macedonia. By Jason Horowitz, January 25, 2019 - "The New York Times"
Just thought of something while playing North Korea, which would be nice. Once South/North Korea becomes eliminated. the remaining Korea becomes just Korea, or United Korea.